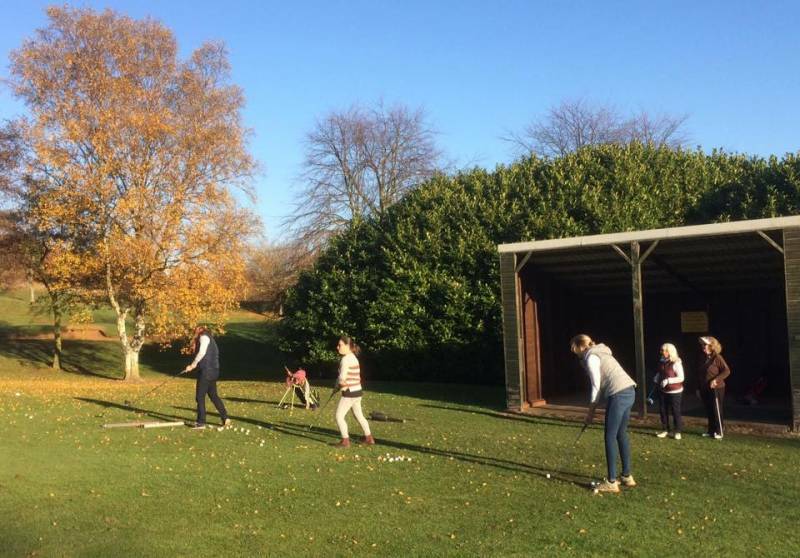 This page is for new lady members and any other ladies who are interested in finding out more about golf at Mapperley Golf Club. About once a month on a Sunday we hold a get-together for new and prospective new lady members - see the list of dates below. Typically these start off in the clubhouse where you will get the opportunity to meet some of our lady members and view the facilities available in the clubhouse; the bar, restaurant, locker room, Professional's shop, etc. After that we will venture outside where you can either join in a friendly 9 hole team competition on the golf course, or if you have not played golf before you can have a go at hitting some balls on our practice range, try some chipping on the practice green and finish up with a session on the putting green (see photos on the right). After that everyone will return to the clubhouse for tea and coffee (or something stronger!) where you will have an opportunity to find out more about membership of the golf club and ask questions. and keep an eye on our Mapperley Ladies Golf Facebook page. Start time is usually 2:00pm in the clubhouse for a 2:30 start outside, but you are best to check the Ladies Fixtures page for confirmation. You can learn more about these membership categories on the New Member Offers page. When you are new to golf there is a lot to learn. You start by getting used to playing, then strive to gain your first handicap. Once you get there, new players need additional help with all sorts of things from etiquette to rules; how to find someone to play with; how to enter competitions; learn about golf; what the terminology means, etc. 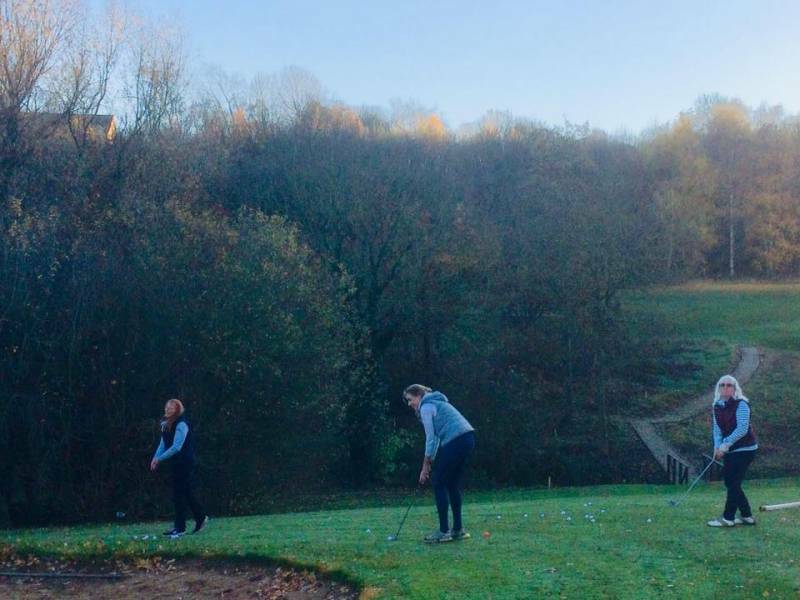 To help with this you will be offered the chance to have a mentor - an experienced member who will help with your integration into the club, play a few holes with you from time to time, provide a little coaching, give advice on 'course management' (strategy), etc. 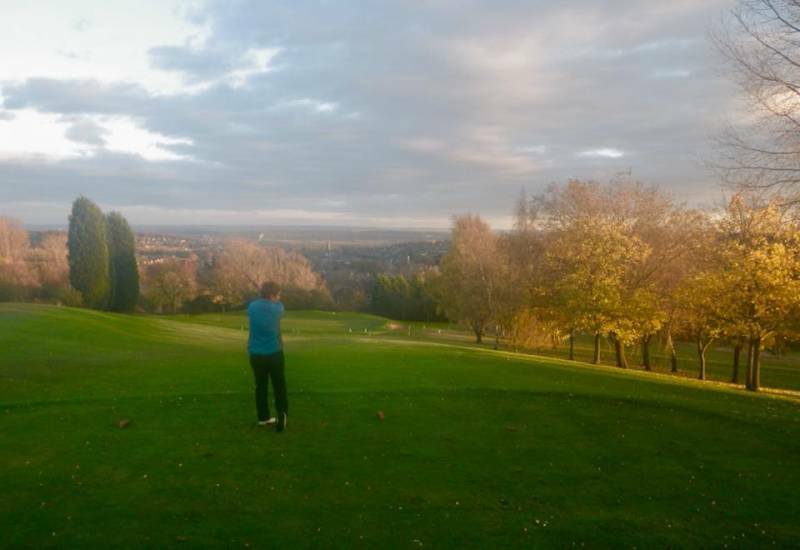 To supplement what the mentors can do for you, we have produced a series of handy little guides to the golf club and golf in general - click on the links below. Please don’t think that you will need to know everything that is in the guides - that really isn't necessary! - Think of them as reference documents that you can go to when you want to check something out, like you would with a dictionary, encyclopaedia or these days, Google (other Search Engines are available). 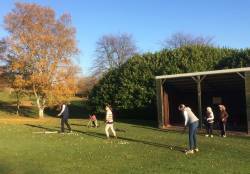 Part 1 will give you an introduction to the golf club and some of the key people that can help you. Part 2 will give you an insight into playing on the golf course and part 3 will get you started with some of the rules of golf and etiquette. Later on when you want to get a handicap, part 4 will show you what to do. Then when you are ready to start playing in competitions, parts 5 and 6 will help you along the way. And remember that you can always ask one of our more experienced members or the guys in the pro shop whenever you are unsure of anything, and they will be glad to help you out.